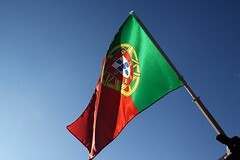 LISBON – Portugal is looking at new measures to raise revenues in order to meet the financial targets set out for the country by the EU and the International Monetary Fund. On September 25th the Prime Minister of Portugal Pedro Passos Coelho announced that the government will drop its proposed plan to hike social security tax, and will increase personal income tax rates along with cuts to the salaries of public sector workers. Earlier this month the government announced its intentions to raise employees’ social security contributions from 11 percent to 18 percent, and to cut the rate of corporate income tax from 23.75 percent to 18 percent, but the proposal was met with immediate and widespread opposition from the public. The government has now amended its plans in order to quell public protests and still reduce the overall level of government revenues. The tax rate increase and the spending cuts are scheduled to be finalized by mid-October, and will need to be approved by the EU and the International Monetary Fund (IMF). The Prime Minister explained that government needs to raise new tax revenues and cut spending in order to meets the targets set for the country by the EU and the IMF as part of Portugal’s EUR 78 billion bailout package.